WARNING: Many "Horror Stories" you've heard about Reverse Mortages are NOT True! A Reverse Mortgage is a government-insured loan program for homeowners at least 62 years old with lots of equity in their home (i.e., mortgage balance equals less than half of the home value). It's a fantastic loan for seniors who find themselves "house rich but cash poor." But it's a very complicated program so we strongly encourage you to come to our office for a personal consultation. 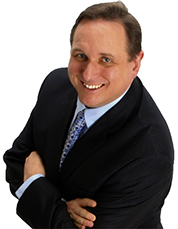 Best Mortgage® owner Steve Tytler will personally answer all of your questions. Call Now to book a reverse mortgage consultation appointment: (425) 649-6000 (toll-free: 1-800-870-4570). You can Lose Your Home! Wife forced out of home after older husband dies! If you owe more than the value of your home, you or your heirs have to make up the difference! Don't sign your home over to the bank! The good news is that those headlines are due to misinformation and/or misunderstanding about how the reverse mortgage program really works. In other words, most horror stories are just not true! I have written a FREE REPORT that answers all the concerns that I have seen in those scary "news" stories about reverse mortgages. I've also included answers to common questions about reverse mortgages that I've received from my cleints over the years. Get INSTANT ACCESS to the FREE Report! *We require you to include your phone number because email is very undependable these days due to all the "spam" and junk email. Don't worry, we will not harass you with sales calls, we just want to make sure you receive this valuable free report.